Pokémon GO is Getting PokéStop Submission Support Soon! Are you tired of your local landmarks being ignored by Niantic? Do you wish you could tell them “hey, this statue would make a perfect PokéStop?” That dream may soon be a reality. PokéStop nominations have been rolled out to limited areas. Developers Niantic has officially announced their plans to implement PokéStop nominations, and they’re already starting with some beta areas. 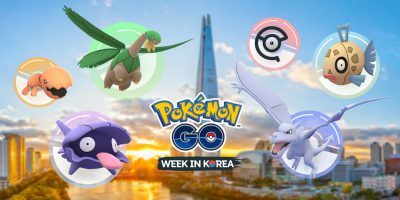 Right now, it’s limited to level 40 trainers that are 18 years of age or older, and currently in Brazil and/or South Korea. If all requirements are met, the trainer can submit a photograph and a description of a spot they believe would make a good PokéStop. These submissions are then reviewed by experienced Ingress users. There are a few rules and guidelines to follow. So don’t think you can get away with saying the stop sign right outside your apartment will be accepted. Niantic suggests it be a publically accessible location that ISN’T on school property. They’re looking for things that have historical, cultural, or religious significance. That’s why churches are such a common place to see a PokéStop. You’re also limited to five nominations a day. Niantic has also provided a step-by-step guide for new submissions. It may be a good idea to give that a look through before trying yourself. There’s currently no word as to when the feature will be expanded into other countries and continents. Time will tell. Ever since research challenges were introduced, trainers have been working hard ..